You like people, but you're careful about who you get close to. Friendship is important to you... so important that you aren't just friends with anyone. You don't fall in love easily. It takes you a long time to get used to someone. Intimacy doesn't come easily for you. Your sense of humor is intellectual and obscure. Only really well educated people get your jokes. If you have written novels set in other decades, how did you research that time period or did you? If it was the decade you grew up in, would it be necessary to do such research, if you know most about that time? Having grown up in the 1980s, it was somewhat easy to remember things about that decade, so it has been somewhat easy to write a novel set in that decade. I can remember not being able to afford cable or a VCR, two things I included in my diary novel. And using the Readers' Guide to Periodical Literature to find magazine articles for research papers. 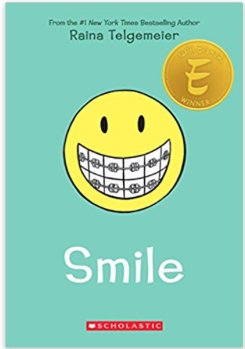 And I knew that anxiety over getting braces was a thing in the 80s--I went through that and had been waiting write about it in a book. Now I'm wondering if I ever want to try writing about another decade, one before I was born. That would take a lot of research. I've found the 1960s to be quite fascinating. At work last week we had a 60s-themed party, something I had been waiting to do for years, and finally got to. 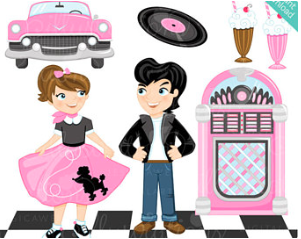 The 50s have also been quite fascinating to me, and now I want to do a 50s-themed party. another girl at the center wants a luau themed and another an 80s-themed one. Since I was born to children of the 1960s, I could ask them some things about that decade if I ever choose to set a story in that decade. 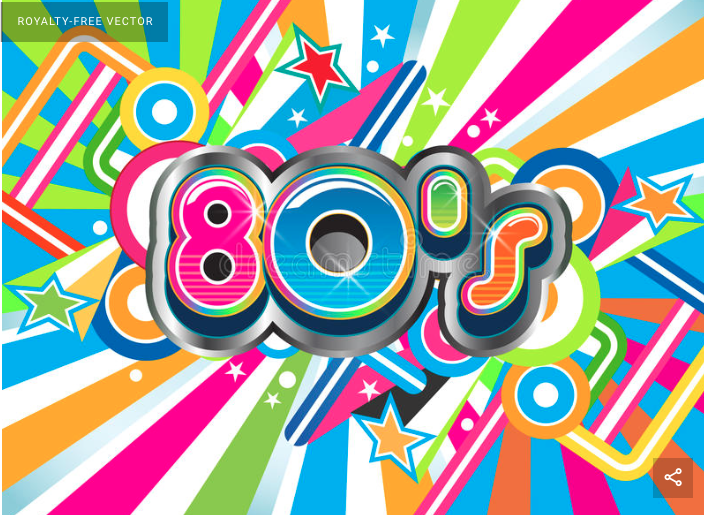 And there's always the Internet for learning about other decades. This site gives eight rules for writing historical fiction. Those who have written such books, did you ever follow these rules, or were you even aware of them to begin with? I know that not everyone will go by these rules, and that it isn't necessarily true that you have to do so. 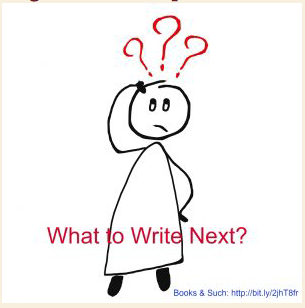 When to Write a Sequel? 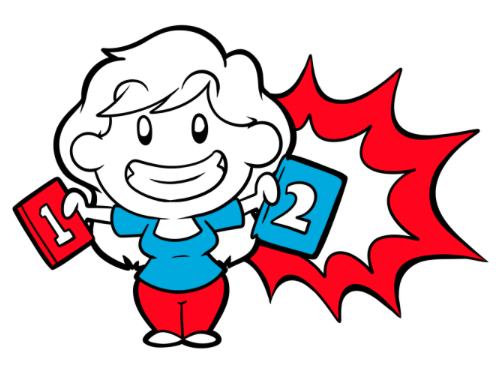 When should you consider writing a sequel? Is it something you should be planning when you haven't even published the first one and have barely even finished writing it? I'm guessing there is no definite answer to questions like those. But I think if I have ideas for more about the character in the first book, I should write them when I think of them. Or am I just thinking too far ahead? Those of you who have written sequels, how long did it take you to decide to do so? My idea for a sequel to my WIP is to have my main character having anxiety about turning 13. 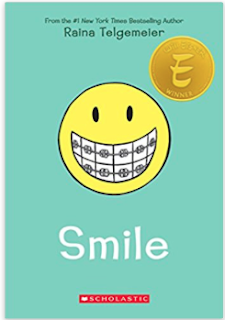 He was similar riddled with anxiety over having to get braces in the still-untitled first book. This could work as a story in itself. Already near the end of June, meaning the year is already half-over. It just seems to be flying by fast. Around this time of year, I like to take a look at how much I have read this year to date and how many of my reading challenges I have completed up to this point. 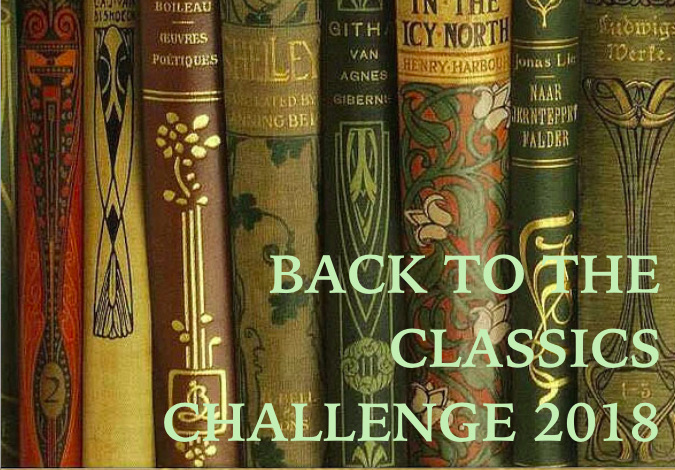 I'm always uncertain how much longer to go on with the open-ended, year-long challenges, but I often like to keep going till December on these ones. As far as some of the checklist and bingo ones go, I have a tendency to finish some of those before the year is half-over and this year is no exception. This seems to always be the first one I finish each year. Then again there are only six categories. Another that I tend to finish fast as well, with only nine categories. I can't believe how quickly I got done with this one. It has 18 prompts, but most of them aren't very hard to fill. Just last night I completed all 12 categories in this one. It is not required to complete each category, but the more you read for this one, the more chances you have of getting entered in the drawing for an Amazon gift card. I like to complete all the categories. On several of the other checklist and blog challenges I am doing, I have one or two books left to complete the challenge. On both the AtoZ and Alphabet Soup challenges, I have one letter left, the hardest one of all--X. If you have any suggestions, let me know. And I'm not sure how many holiday-themed books I'll be reading over the summer, as Holiday Season is the only category I have left on Full House. As seems to always be true, some of the challenges I have signed up for this year seem to have disappeared. Either the link to the challenge or the blog hosting it just suddenly gets deleted. 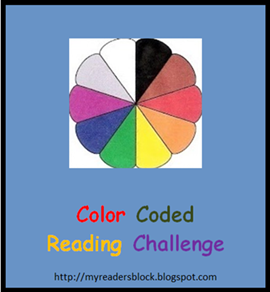 The link to the Read the Rainbow challenge has disappeared, although the blog is still around. And I was annoyed to see the Mental Illness Advocacy challenge deleted before the year even began. I have enjoyed doing that one since it's a subject close to me. I looked for a similar challenge, but to no avail. I now think I will start one for 2019. And I also have begun to think about which of my challenges to offer next year. The Literary Loners one didn't get many signups this year, so that one may have to go. It was the first one I ever created and hosted. Not sure about the others just yet. though I definitely want to do the memoir one again. I will begin deciding this at the beginning of fall, when the sign ups for challenges start to around. And I just discovered that the blog hosting the seasonal bingo has been deleted again. As always I hate it when this happens, and now I'm uncertain whether to continue reading for this one, as a lot of the categories are very tempting. And as of today I have read 146 books this year already. 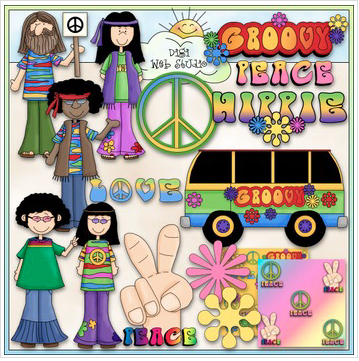 "You're Not Exactly a Hippie..."
Sending your manuscript off to an editor can be nerve-wracking. Even though you may be paying them for their services, getting feedback can be difficult when you have spent so long trying to make your book as good as it can be. An editor’s job is to find mistakes, not just regarding spelling, grammar and punctuation, but also with regards to how your story works overall. Of course, if you are paying an editor to review your book, it is up to you to direct them about what kind of feedback you want. Just remember however that having a professional editor review your work before you send it to agents and publishers makes a massive difference in terms of your chances of success. If you choose to self-publish, a professional editor can ensure your book goes on sale being as the best version it can be. So how can you prepare yourself for editorial feedback and learn how to handle it professionally? When you first look at the changes an editor has made, there may be a lot of them. This may make you feel utterly disheartened or completely outraged, but either way, the key is not to freak out. There may be hundreds, even thousands of edits to your manuscript. A lot of these, however, will be minor amendments - a comma here, a formatting change there and are therefore nothing to worry about. Additional edits may require more time to look over and absorb, but remember edits don’t mean your manuscript was awful to start with. Many excellent books need a considerable amount of editing before they hit the shelves and it’s something all writers must go through to make their book amazing. Take your time to go through every edit and consider whether you want to accept it or reject it. Don’t rush this. At first, you may feel wounded by some of the suggested changes and your natural reaction may be to refuse them. However, this might not be what is best for your book so try to stay calm and be as objective as you possibly can be. Saying that you also don’t have to accept every suggestion an editor has made. It is your story after all. Just be sure you are clear in your reasons for doing so and make sure it’s not just your ego getting in the way. 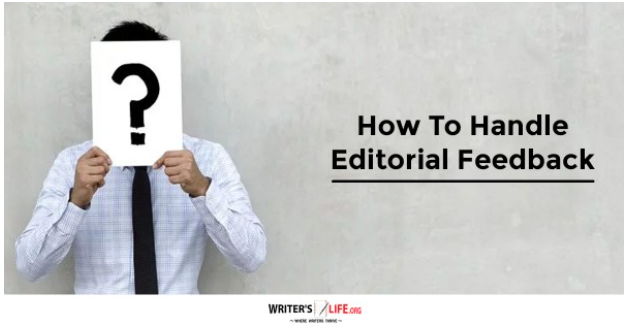 If you aren’t sure why a particular edit has been made, get in touch with your editor for clarification. Doing so can help you get a better understanding and insight into their thinking which will reassure you that they know what they are talking about and have done an excellent job. Once you have accepted or rejected the changes made by your editor, it is a good idea to have a final read-through of your manuscript to make sure everything is as it should be. 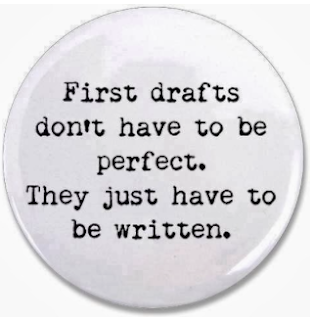 It can be easy to accidentally make a change that then doesn’t make sense or creates an error elsewhere so reading through one more time will make doubly sure your manuscript is perfect and ready to be shared with the world! Working through your edited manuscript is one of the very last stages of finalizing your book. Doing so takes time, effort and a cool head. It’s not easy to let someone else get their hands on your work so pat yourself on the back and take some time to celebrate your achievement! I'm still not at this stage and am deciding when to send off my memoir to the publishing contest Blydyn Square Books. But I've already known that I can expect criticism from both editors as well as from other I have let read my works. Not panicking is one thing that would be hard for me. I know I'd be riddled with anxiety over what the editor will suggest as edits. I can see them handing over my manuscript with the suggested edits and feeling too anxious to look right away. The feeling of "I can't look!" Proofreading is one thing that has taken me a lot of work to do. I was looking over my memoir just a few days ago and saw several typos, omitted words and such. I only got as far as the prologue and first two chapters, however. But I know I'll find some errors in the rest as well. Asking questions might be tough for me. I've often been too afraid to ask why someone thinks this or that, or why I should do this or that. I now see myself as having to get more assertive in this area. I definitely will celebrate in the end. I'll admit I've been slacking off on writing lately. I'm trying to decide if I want to start writing what may be a sequel to the diary novel. I seem to have some ideas in mind. Earlier this year, I jotted down a dream I had that I'm still trying to decide if I want to write a story based on it. Just trying to find some inspiration! Yesterday, however, I began looking over my memoir for the first time in a while, noticing some typos (typical), and wondering how many more, if any, changes I'll be making to the story. It still seems hard to believe it's been two years since I began the memoir. Which reminds me--I began re-reading Prozac Nation yesterday. Several challenges I'm doing this year have prompts to re-read a book, and I'de been waiting to re-read this one in full, not just glance over different parts. It was the book that inspired me after all. 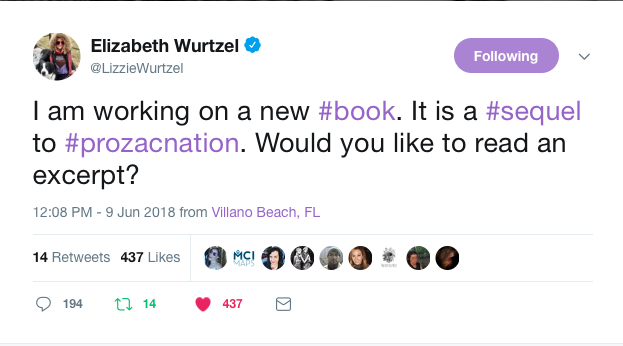 And I read on Twitter this week that Elizabeth Wurtzel is working a sequel to her iconic memoir. 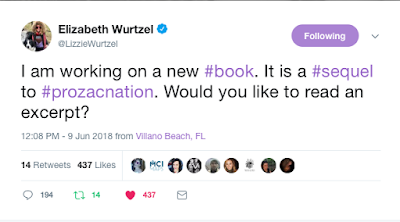 She asked if readers would like to read an excerpt of the new book. I, among other users, said yes to the excerpt, and let the author know how I chose to write about my own experience with depression and Prozac after reading her book. I didn't bother saying how at one point I felt telling my story wasn't such a good idea since I felt it was too similar to hers, but was eventually convinced mine is different. I still don't know why I felt that way. But I got over it as you can see. Should You Change Your Story For a Publishing Deal? Let’s face it; there are not many writers in the world who wouldn’t love a publishing deal. Sure some of us might find the self-publishing route more rewarding, even more lucrative than if we were to sign with a traditional publisher. The majority of us, however, have a shared dream, and that’s to find a traditional publisher who is willing to take a punt on us. But one thing many of us don’t think about is what we would do if that publisher wanted to take on our book, but wouldn’t agree to do so without making significant changes. Would we blindly accept, so glad that they picked us that we would let them do anything to our precious manuscript to see it in print? Or would we baulk at the idea and refuse, even for a considerable sum, to let anyone tamper with our sacred work? 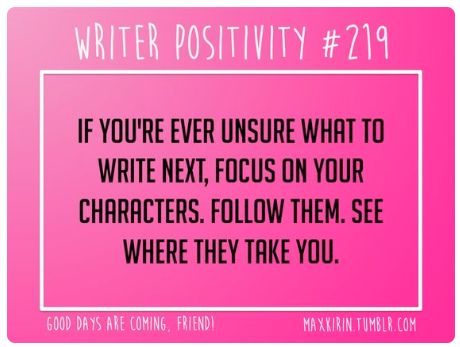 This is something every writer should think about. Where is it that you would draw the line? How much would you be willing to change if the price was right? Would you never sell your soul just for a publishing deal, or does that sort of thing not matter to you at all - they are the professionals after all, and know what sells, so why not? What do I feel comfortable with? Don’t let a publisher push you into making changes that you hate. There is always room for negotiation and compromise. At the same time, it pays to be flexible. 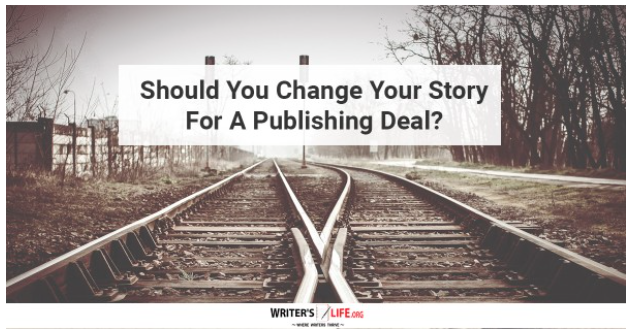 If you outright refuse to make any changes to your story, you’ll come across as difficult to work with which may make them wonder whether doing a deal with you is the right move after all. Do I write for fame and fortune or something more? Understanding what inspires you to write in the first place will help you come to an easier decision when realizing just how far you’d go and how many changes you’d be willing to make. If your motivation to write is merely to see your name in print and have people buy your books then making changes may not cause you to bat an eyelid. If however, you write because you have a particular story you want to share with the world, you might feel very protective of the words that have created that story and the specific message you want to get accross. If you have a sneaking suspicion that you’ll end up regretting it, then it’s probably a good idea to stay true to yourself. There is nothing worse than feeling as though you have let yourself down and damaged your authenticity as a writer. On the one hand, if your book is good enough to get a positive response from a publisher, even if they do want to make changes, that’s something to be very excited about. On the other, if you were to change your story and get your book published, you’ll then have a much more robust platform from which to write another book, and this time may feel you have the experience and backing of your fanbase to argue that your stories should remain as they are. At the end of the day, this is a hugely personal choice, and there really is no right or wrong answer. But it is something worth considering, because knowing your limits, and understanding how you feel about your story can only prove beneficial in the long run. Even though I have not yet tried to get a publishing deal, I seem well are that the publisher may want to change some things about my story, or ask me to change them. I made a lot of hard and careful decisions of what to add to the memoir and what to delete from it. Now I'm waiting to see how much I will want and need to add to the diary novel and what do delete, though there currently isn't a lot to delete--or there'd be no story at all! I have yet to even go thorough the diary to see what errors I have made (and I know I made some! ), and I'm still struggling with the title. And there will be some polishing to do. Also, I am now wondering of I need to go over the memoir any more. I now feel prepared to negotiate with my eventual publisher on what to add or delete, and what to title my works, should they not like what I choose. As I have been trying to decide what to work on next, I found this meme. It sounds a bit like what I have been thinking. I have been thinking of trying to write more on the character from my diary novel that could easily become another book, a sequel to the WIP. BTW, I may be coming closer to a title for my current work. In a post last week, I shared some titles I have come up and some that were suggested by others. Two people who commented to the post said they like the title "Confessions of a Metal Mouth." 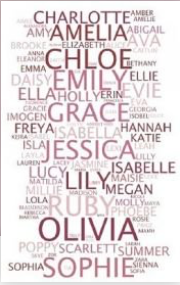 I am still questioning myself how I chose the names I chose for the characters in my diary novel. But each of them seems simple and common compared to what I read in this article. Yeah, I don't seem to hear Katie anymore. Now it's Cady. Years before the movie Mean Girls, I encountered someone I believed to be name Katie (from the sound of how she said her name), only to find it was actually Cady. Cady, to me, looks more like a phonetic spelling of the the way some people pronounce Katie. At the same time, though, I did encounter someone named Katie, short for Kathryn. 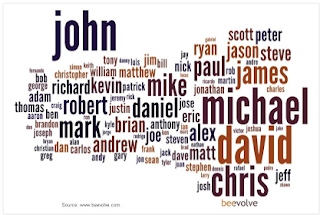 And I would not use too many bizarre names in my books, given how much I hated my own name, never seeing it on souvenirs and growing up among a plethora of Jennifers, Karens, Lisas, Michelles, Stephanies, and the like. This was something I noted in my memoir. As I said, I'm still asking myself why I chose Martin as the name of the protagonist of my diary novel, but then again, I did not choose anything to bizarre. Same with some of the others in my book, such as Roderick, Everett, Jana and Janelle (twins). 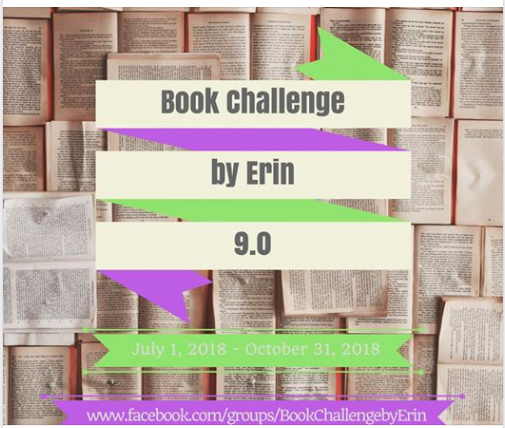 The blog that hosted this challenge had been down for a while, but is now up again. Here is the bingo card for summer. I will get as many books as I can between now and the end of August. 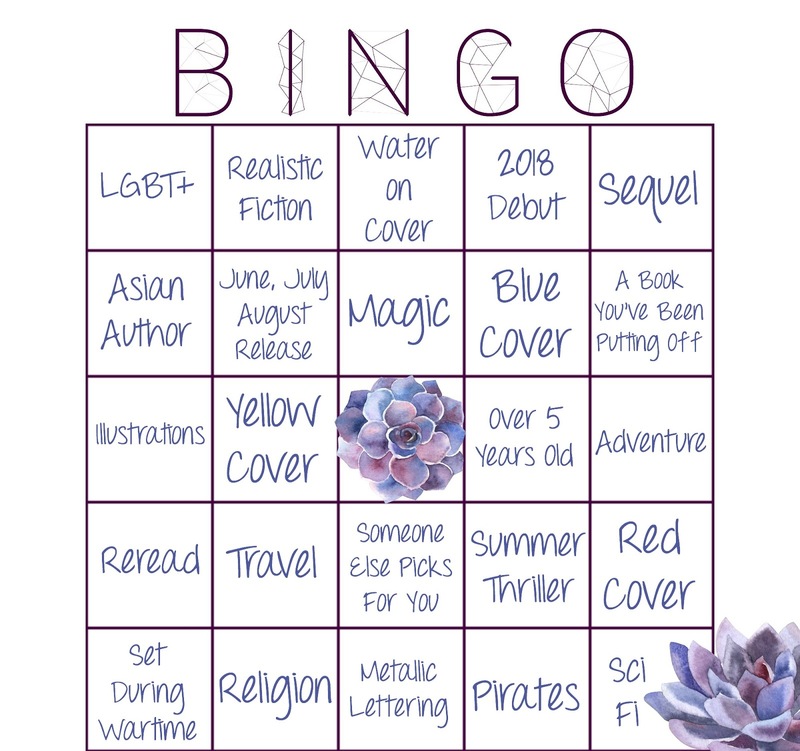 I know the blogging has been spotty around these parts, but I'm pushing past the fatigue and lack of motivation today because it's time for my favorite part of this hobby: Bookish Bingo! Titles or Character Names, Which is Harder to Come Up With? I could use that title myself, but it would just be too confusing to have two different books aimed at similar age groups with the same title with a similar storyline. I have also toyed with the analogy "behind bars" for the title, but have since decided against that one since it can be misleading (though the phrase is used in the book). As for character names, sometimes I have a hard time coming up with any, but other times I have one in mind almost immediately. 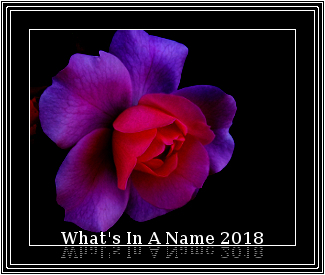 Yet many times, I ask myself how I chose any particular name. I've had an obsession for the name Bob for so long, but have done my best to avoid overuse of that one, in this instance relegating it to the name of the old man across the street. I've been questioning myself on how I chose Martin as the name of the protagonist of my WIP. I'm just not sure how I chose that one. Or Roderick and Everett for some classmates of his, and Jana and Janelle as twin classmates. 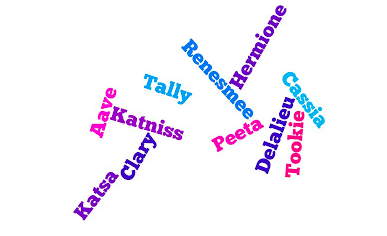 Not to mention the names of the three mean girls--Rebecca, Sarah, and Natasha. How many of you have asked yourself how you chose any particular character name? Here is the new card for June. August 2 – Julie and I will post our July completed bingo cards. You can link up your bingo cards in this post. We will also be posting the June winner of the most squares in this post. I've said that I finished my diary novel, but does when one really ever finish such a thing? I know I'll be rewriting it, however many times I feel I need to do so. When I said I finished it, I meant that I had gotten to the desired ending. I have written my first draft. I have not looked over it for a while, but I'm guessing I'm taking some time ways form the work to come back later with fresh eyes. Even though I have not worked on it for awhile, I already know some things I can change and add. This was how I worked on the memoir, so I know now to do the same with the diary novel. I have also been thinking of what I can write for another book on the character introduced in my still-not-titled book. I got some suggestions, though and some great feedback from those who have read the story. I should try writing down the ideas for the possible second book, though I know I need to work more on the first one. Now I don't know what to do next! I guess whatever I want to do next. Going to try this one now, too. With only six prompts, it should be easy to complete. 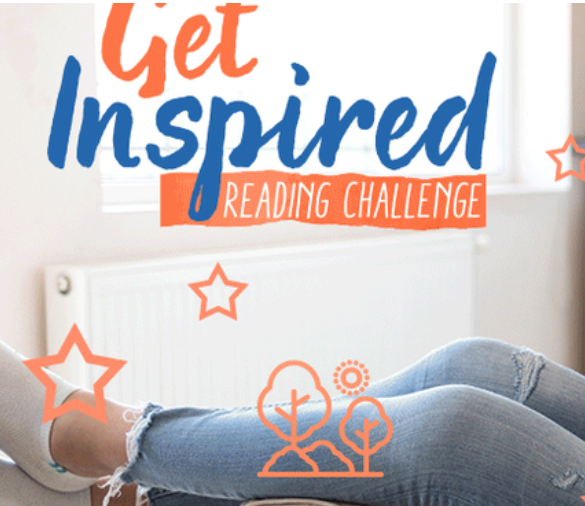 • Book categories will be posted June 1st to give you time to gather books in preparation.